There are many Bluetooth speakers out there these days. From waterproof ones, to those which were designed specifically for home use. Even so, the greatest majority of them are meant to be portable. The only issue here is that most Bluetooth speakers are pretty monotonous. Even the best ones on the market are just simple speakers. What happens if you want something more, something more exciting? The answer to this question is simple, just get a levitating Bluetooth speaker. Today we are going to introduce you to this niche segment, and show you some of the best models out there. One of the best models to feature this design. Great build quality and decent materials. A decent battery life that offers 8 hours of use. Not really the most affordable model out there. Levitating Bluetooth speakers are generally similar to each other. After all, there is only so many designs which are suitable for this type of build. ReVolt Levio represents one of the most popular solutions and definitely one of the better executed models of this type. 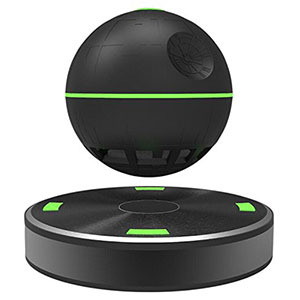 For all intents and purpose, it is the the optimal levitating Bluetooth speaker right now. 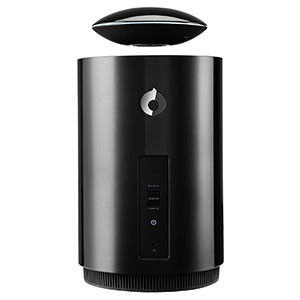 The speaker itself is a pretty decent unit which offers 360 degrees surround sound. The quality you are looking at is good considering the unique nature of these devices. The battery will last you some 8 hours making it quite practical on top of looking pretty cool. This particular model brings you a black chassis with bright red LED illumination. A rather unique design which offers something different. Comes complete with a built in subwoofer unit. Packs a really good tone for this type of speaker. Advanced mic makes it a great office tool. In a market fully saturated by levitating orbs, it is quite a refreshing sight to see something like Mars by Crazybaby. This levitating speaker not only features a different design but it also brings a whole lot of awesome features to the table. Some of them are just non existent in this particular segment of the wireless speaker market currently. The base of the speaker houses a dedicated bass unit. That’s right, this is a levitating speaker with a full blown subwoofer built into it. The overall sound quality is something else. You are looking at a great saturation across the frequency range, which includes both mids and trebles. Compared to any other model out there, this one’s a beast. A more aggressive take on levitating speakers. Model which is perfect for both indoor and outdoor use. Comes packed with awesome features including IPX7 protection. Impressive sound when combined with the subwoofer at the base. Levitating wireless speakers are a category that doesn’t attract too many big name brands. However, LG is the one giant that has decided to tackle this type of device. 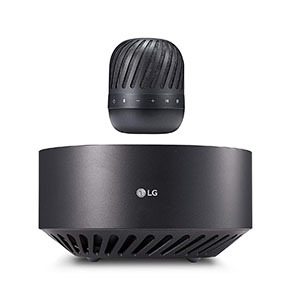 Their model goes under the name of LG Electronics PJ9B ZeroG Levitating Portable Bluetooth Speaker and it is quite something else altogether. It looks and sounds impressive to say the least. The actual speaker is designed to be used both indoors and outdoors. It features IPX7 rating for water resistance, which makes it pretty competitive. The sound it offers is impressive to say the least. When combined with the subwoofer found in the base of the speaker, it really packs a massive punch. At this price, it is practically a steal. A unique, sci fi inspired design increases the cool factor. Supports NFC pairing along with Bluetooth. Great sound for the money thanks to decent hardware. Good enough battery life allows for plenty of use. Novelty wears off rather quickly with this one. It doesn’t take much to realize where ICE 7 Arc Star Floating Bluetooth Speaker took inspiration from. This is an example of a speaker which offers good performance at a decent price, but also brings you that unique aesthetic which is missing from most levitating speakers these days. It can also be a cool gift to a sci fi fan. From a hardware point of view you are looking at a more or less standard package. ICE 7 Arc Star comes with a decent driver built into the levitating sphere, a simple base, bright green LED illumination and full NFC support. That makes it a fairly competitive model in this price range. It’s a bang for the buck value choice. A pretty refreshing take on a classic design. Comes with a decent driver. 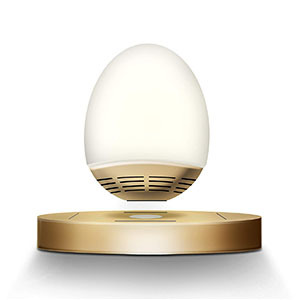 Features RGB illumination on both the sphere and the base. Decent battery life and fast charging time. The built in mic isn't the best. 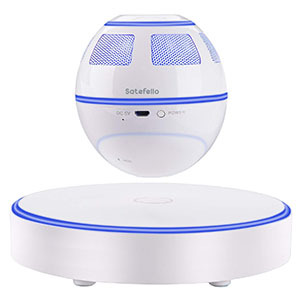 Although it is not unique in its overall design, Satefello Magnetic Floating Portable Wireless Speaker does offer a refreshing take one the already established ‘floating sphere’ aesthetic that is saturating the market these days. Even the smallest of chances are enough to set it apart from the competition. Because of that, it’s one of the best models you can grab. At its very core, it is a pretty simple design. You have your sphere speaker and a pretty standard base. Satefello went with plenty of LEDs which are actually RGB. From a performance point of view, it is a great little speaker with a fairly decent sound and output. It’s a good choice for outdoor use although it lacks protection. A no nonsense design that has been proven to work. Great set of features and hardware for the money. One of the most affordable levitating speakers out there. Overall performance which makes it quite practical. It's the most run of the mill levitating speak available. As you have probably noticed by now, levitating speakers come in all kinds of shapes and forms. With that said, most brands will make you pay for that diversity of aesthetics. What if you just want a levitating speaker without all the extra trills? 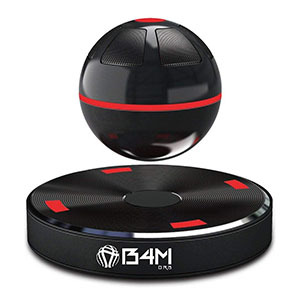 Models such as B4M ORB-Dark Black Portable Wireless Speaker are the answer you are looking for. This is the most basic version of the classic floating sphere design. It features a pretty decent driver that offers good sound. You are also getting NFC support, a decent battery life and all the standard features. What makes this model so special is its price. This is by far one of the most affordable models you can find currently. A pretty affordable way to get into levitating speakers. Cool design that is different and unique compared to most. Features a good speaker all things considered. Plenty of battery life per charge. Definitely not the loudest model out there. As you can probably tell, such an affordable package won’t have all the latest bells and whistles. Even so, it is a pretty solid speaker on its own. The sound you get is great considering the price and the battery life isn’t too bad either. This is the type of levitating speaker you can take with you camping or hiking. Portable size which makes it great for outdoor use. Decent sound quality even outside. Interesting design which has that cool factor. Built in microphone allows you to make and answer calls. Short battery life limits its use. Last but not the least we have a model for you which offers a compromise. 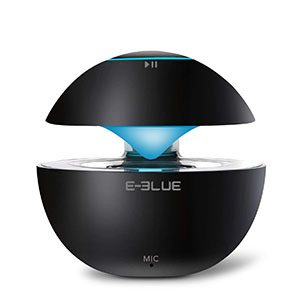 E-Blue Portable Bluetooth Speaker is a levitating speaker, sort of. In reality, this is a hybrid design that offers partial levitation. Where most other models feature a base and the speaker itself, this one combines the two. This makes it cheaper to produce and compact. Performance wise, you are looking at acceptable sound quality but not a lot of volume. After all, the transducer inside is pretty limited. With that said, E-Blue’s portable speaker offers up to 4 hours of playtime, which pretty much makes it a decent choice for short outdoor use. Despite the few drawbacks of this design, the price is just right. How Does A Levitating Bluetooth Speaker Work? If you were to show a levitating Bluetooth speaker to someone just half a century ago, it would probably look like space magic to them. Luckily for us, these days wecompletely understand the essence of magnetic levitation. That is what most of these speakers use. In simple words, there are two very strong magnets in both the base and the floating portion of the setup. In order to get the speaker to levitate above the base, you need to find its magnetic balance. Often times, this isn’t as easy as it sounds. Some speakers come with plastic templates which will perfectly align the speaker on the base, but sometimes you don’t get any help at all. Either way, the concept behind levitating speakers is pretty simple physics that has been known to us for a long time. Why Get A Floating Bluetooth Speaker? One of the most frequently asked questions is why even bother with levitating speakers? After all, there are much better speakers out there in terms of performance. Here’s the deal. Some people put an accent on sound quality while everything else is secondary at best. With that said, there are plenty of people who would like their speakers to have an aesthetic quality as well. The levitating speakers basically offer both in a simple yet effective package. You get a solid enough performance where listening to music is definitely enjoyable but you also get a cool conversation piece to have on your desk. 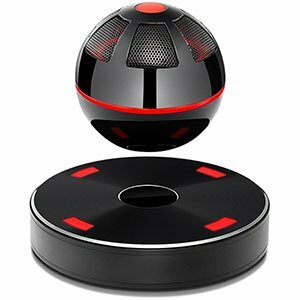 On that note, most of the orbs in current levitating speakers can serve as standalone portable speakers. This makes them perfect for outdoor use. Once you get back home, all you have to do is set the speaker orb back on the base and you are set. Levitating speakers are much more than just means to listen to your music. They can often be the centerpiece of a room. Many people like to knock on these simply because they add something exotic into the mix. However, getting a levitating Bluetooth speaker can really turn a room from bland to one where you’ll want to spend time. Models we’ve shown you are by far some of the best on the market. Unfortunately, there are many bad solutions out there due to the increased complexity of these speakers. That’s why investing a bit more is always a good decision.